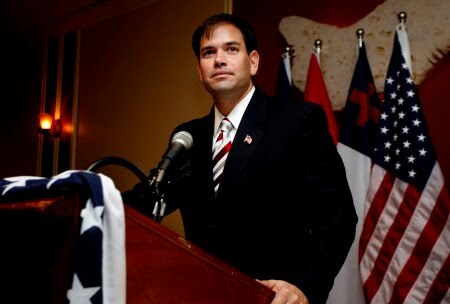 The latest Rasmussen poll for the Florida republican senate primary race has current Gov. Charlie Crist dropping below 50%. 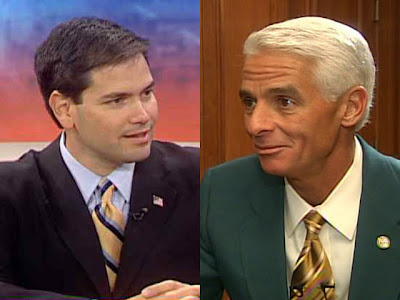 Crist has 49% vs Marco Rubio having 35%. This is the first time that Crist has been below 50% against Rubio and Rubio has been able to cut Crist's lead in half since August. Rubio is favored among the conservative base and Crist is seen as a moderate...or maybe even a little left of center. Crist has been called a RINO and nick-named "Wind-Sock" Charlie for his changing positions.